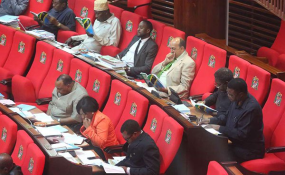 The Controller and Auditor General (CAG), Prof Mussa Assad has on Monday morning appeared before the Parliamentary Privileges, Ethics and Powers Committee in Dodoma as he promised last week in Dar es Salaam. Prof Assad has appeared before the Parliamentary Committee just two weeks after Speaker Job Ndugai ordered him to do so following his remarks he made while in the United States that seemed to undermine the Parliament. Professor Assad who formerly taught accounting at University of Dar es Salaam held a press conference and told reporters that he will appear before Bunge's committee as he was ordered by Speaker Ndugai.